I am reposting some of the posts I have posted lately on my Facebook, to keep those who follow my blog up to date. It is the easiest way for me to keep people up to date, and quite honestly, I think writing about this has helped me process my journey. Here are some from the last couple of days. 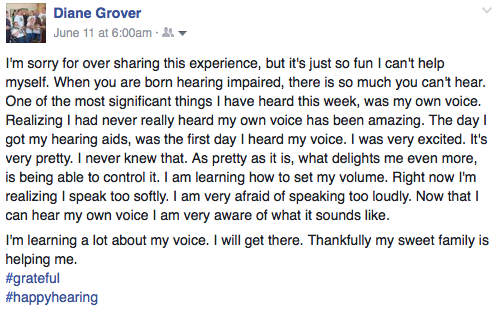 Admittedly, at times it has been overwhelming, but mostly I am just completely grateful to hear the way others hear in this world! I said this day one, and I will say it again, better late than never! 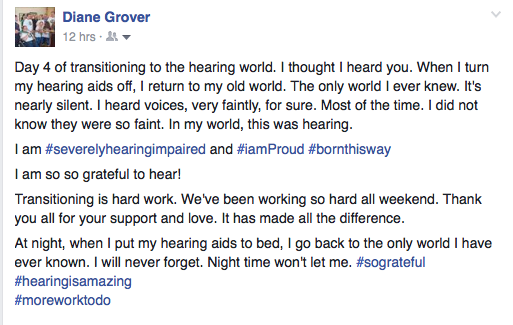 Thank you to everyone who has shown an outpouring of love to me as I learn how to work my way around the hearing world. 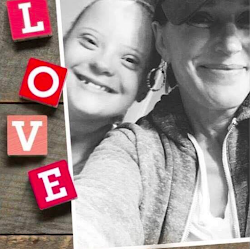 I feel incredibly grateful and truly blessed! This entry was posted on Monday, June 13, 2016. You can follow any responses to this entry through the RSS 2.0. You can leave a response.